Two days after this year’s Oscars are handed out, 14 additional Oscars will be awarded to the winning bidders of a Hollywood memorabilia auction — believed to be twice the total number of Oscar trophies that have been sold to date. The sale, being featured online by the Los Angeles auction house Nate D. Sanders, which sold Orson Welles’s screenwriting Oscar for Citizen Kane in December for $861,000, includes the companion Oscar to co-writer Herman Mankiewicz (although both Welles and Mankiewicz claimed to be the sole writers of the movie). 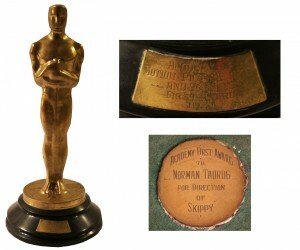 Bids have already been submitted for the auction with the Mankiewicz Oscar leading the pack with $142,042. Since 1951 Oscar winners have been required to sign an agreement to offer to sell their statuettes first to the Academy of Motion Picture Arts and Sciences for $10 — but the 14 Oscars currently on the block were all awarded well before that year. 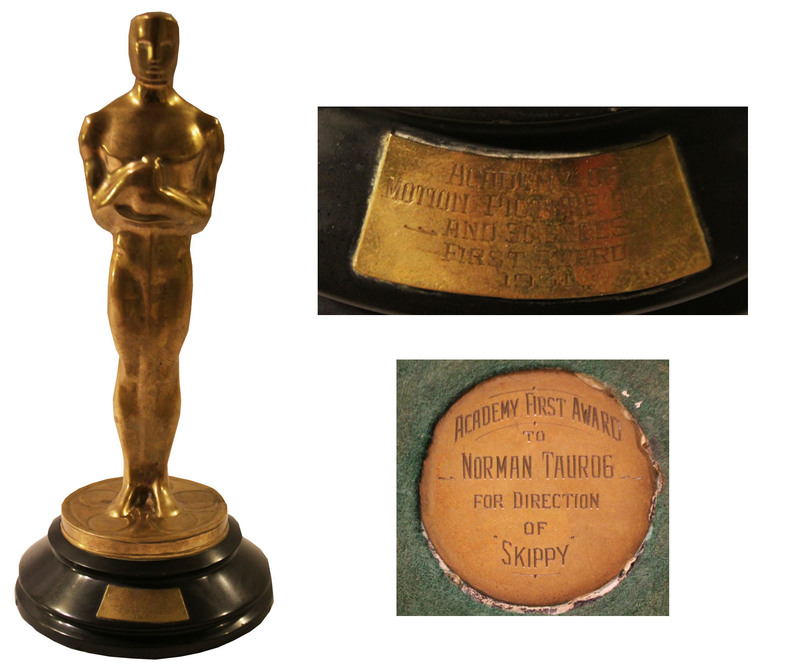 The oldest is the best director award to Norman Taurog for Skippy, handed out in 1932, during the fourth Oscar ceremony (two years before Hollywood gossip columnist Sydney Skolsky gave the trophy its name). The 1933 Oscar for best picture, Cavalcade, is also up for sale, with a current bid of $106,718, as is the best picture Oscar for 1941’s How Green Was My Valley, the film that beat Citizen Kane. Bids for the Oscars can be submitted online at www.NateDSanders.com or by phone at (310) 440-2982. The highest price ever paid for an Oscar was $1.54 million for the best picture award to Gone with the Wind — purchased at auction in 1999 by Michael Jackson.